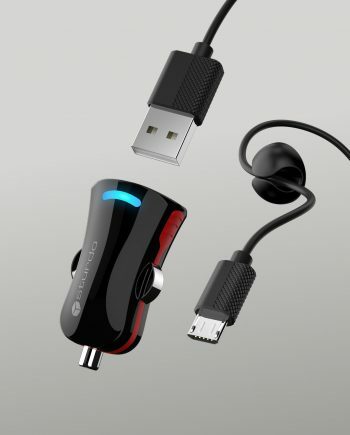 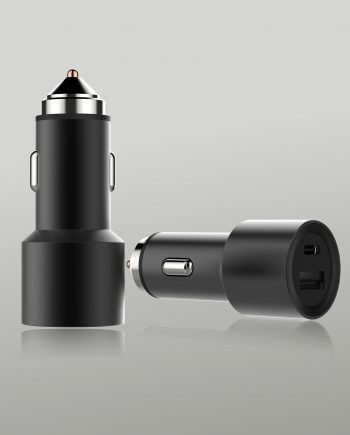 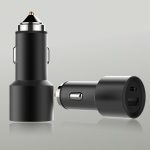 When designing the latest dual car charger, we focused on combining current trends and technologies with user-favorable design. 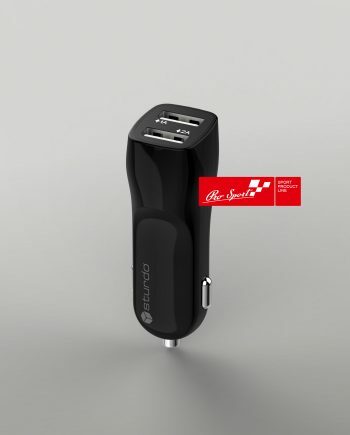 The result is a compact size product that can resist demanding use during business trips or weekend trips. 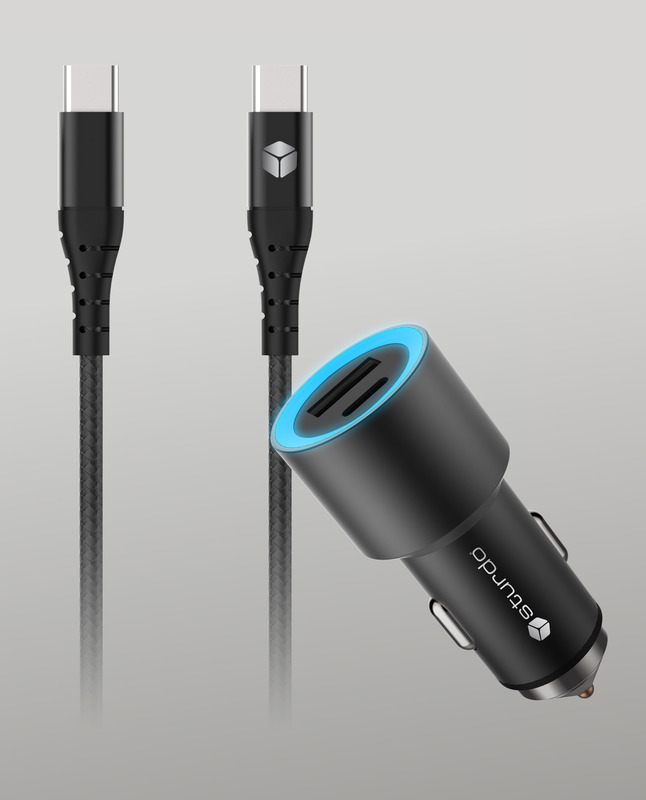 As a bonus we included a quality cable with two USB-C consoles. 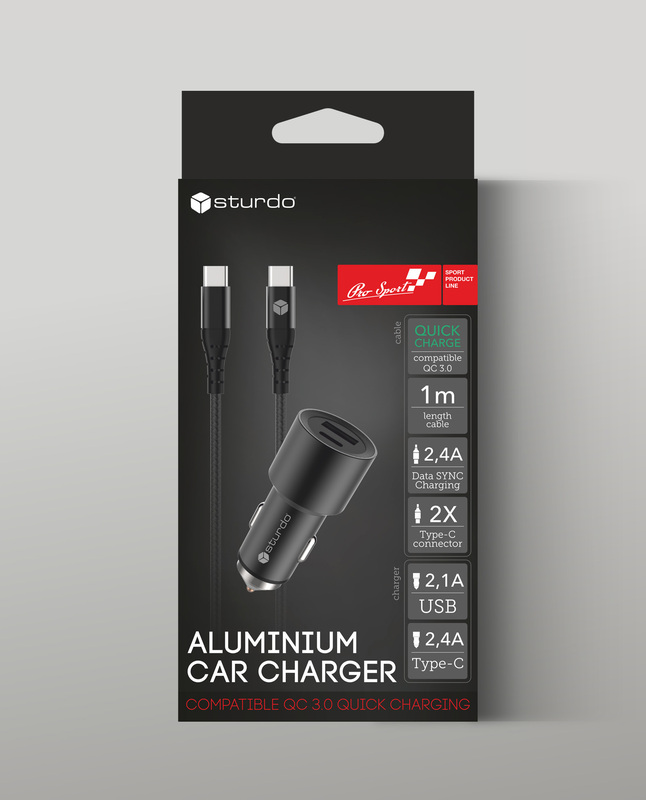 For the external charger design, we chose aluminum to provide adequate protection for fine interior components. 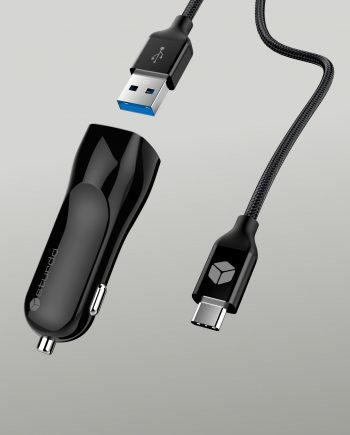 Connect the phone to the charger via a reversible USB-C port or a standard USB port. 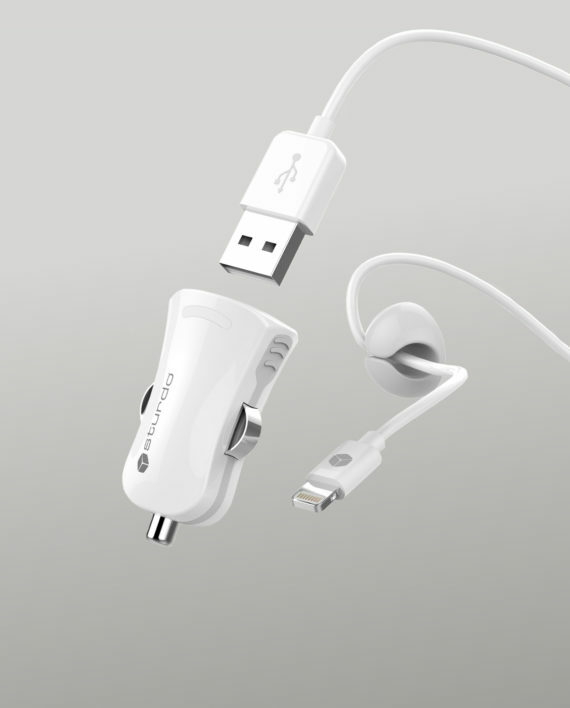 The undisputed advantage of the USB-C port is its symmetrical design that greatly simplifies plugging in without looking for its correct position. 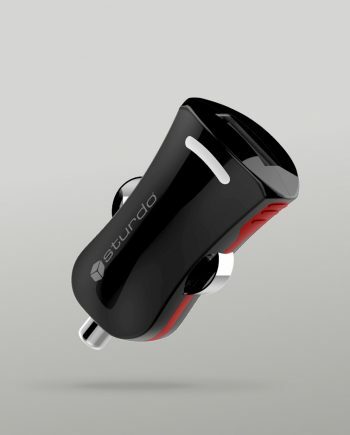 This greatly improves your safety during driving. 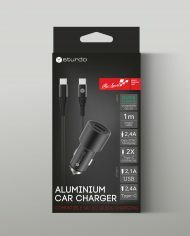 The eye-catching LED light lining the edges of the charger lights up when plugged into a 12V car socket. 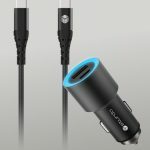 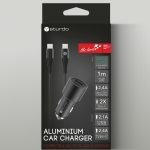 With the large port capacities you can quickly charge your smartphone or tablet, the car charger is also compatible with Quick Charge 3.0 quick charging.